Andrews Automation are offering huge savings in terms of productivity and maintenance, as well as an impressive return on investment with their new chain conveyor. Andrews Automation have been offering a competitive range of chain conveyors for a numbers of years now, always providing the latest equipment in terms of innovation and cost saving ideas. One of the latest innovations is the Deniway chain conveyor which boasts a number of unique features which allows it to be simple, robust and reliable. Kit-like package allow you to easily assemble and disassemble the chain conveyor. 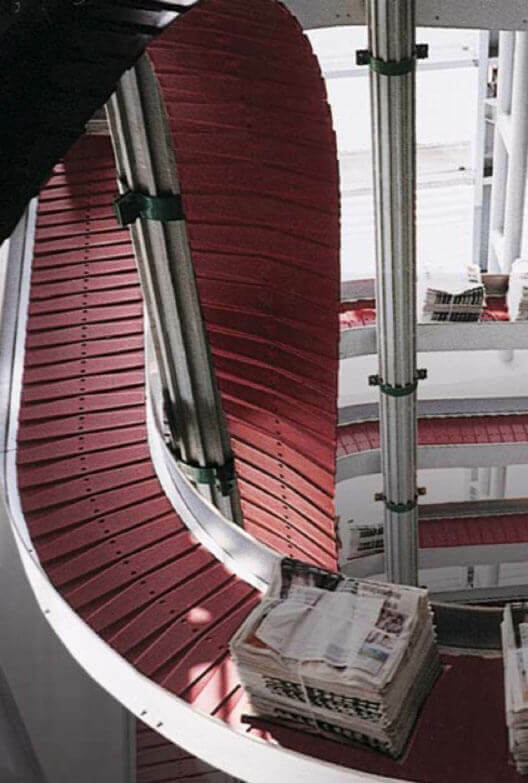 The chain conveyor is simple, robust and reliable meaning it is subject to less wear and tear. The complete system is low maintenance helping you reduce those maintenance costs. The chain conveyor system can be built up to 300m with just one drive motor. Reduced number of drive motors provides significant energy and cost savings. This chain conveyor system is idea for large goods with a weight up to 50kg. The chain conveyor is extremely efficient with speeds up to 1.5m/second. The complete system can be built in stainless steel which allows it to be an ideal solution for the beverage and food industry. It cuts investment costs and TCO. The list of advantages goes on, meaning its an ideal solutions of any business wanting to invest in a new material handing system which has a great return on investment. 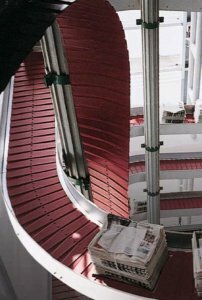 We can custom design the chain conveyor to fit into your exisiting system or design and new system built around this state-of-the-art chain conveyor. Call our Applications Engineer today on 01405 768 900 to discuss your exact requirements. We can design bespoke solutions to your exact specification.